Yasinjan in an undated photo. Two Uyghur students who were detained after voluntarily returning to northwest China’s Xinjiang region from Egypt this year amid a call by authorities for members of the ethnic group living abroad to travel home have died in police custody, according to sources. A resident of Xinjiang, who spoke on condition of anonymity, told RFA’s Uyghur Service that Abdusalam Mamat and Yasinjan, both from Korla (in Chinese, Kuerle) city, had been studying at prestigious Al-Azhar Islamic University in Egypt’s capital Cairo since 2015 and 2016, respectively. After Xinjiang’s government issued an order earlier this year for Uyghurs living abroad to travel home to “register” with authorities, Mamat voluntarily returned to Korla in January and Yasinjan three months later, the source said. The two young men were immediately imprisoned upon arrival and later died in police custody under suspicious circumstances, despite having no prior health issues, he added. Since Xinjiang Communist Party chief Chen Quanguo was appointed to his post in August last year, a series of harsh policies have been initiated targeting Uyghurs in the region, where members of the mostly Muslim ethnic group complain of religious and cultural repression and harassment under Chinese rule. Thousands of Uyghurs accused of harboring “extremist” and “politically incorrect” views have been detained in political re-education camps and prisons throughout Xinjiang since April as part of an ongoing crackdown. “Yasinjan’s brother was dismissed from his police work prior to Yasinjan’s death,” he said. Enver Osman, the secretary of Lenger village, in nearby Awat township, said he was unfamiliar with Yasinjan’s brother, when asked about policemen who had been recently fired from the Charbagh police station. “We have many who have been dismissed, so I don’t know which one,” he said. 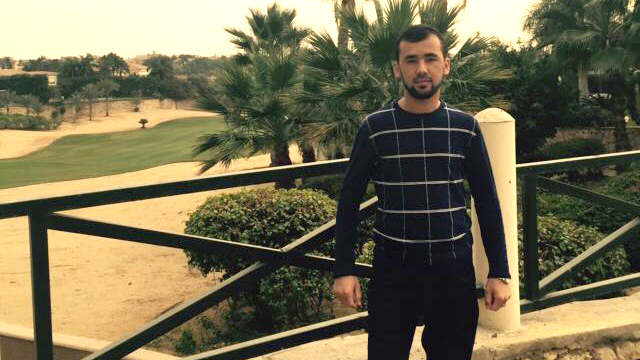 Some 20 Uyghur students in Cairo are unaccounted for several months after authorities launched a dragnet targeting members of the ethnic minority at China’s behest, two of the young men, who said they endured regular abuse while in detention, recently told RFA. More than 200 Uyghurs, many of them religious students at Al-Azhar University, have been detained since July 4, rounded up in restaurants or at their homes, with others seized at airports as they tried to flee to safer countries, sources said in earlier reports. Dozens of Uyghurs are believed to have already been deported home to Xinjiang, where rights groups say they face a serious risk of arbitrary detention and torture, but many of those who have voluntarily returned home have also been taken into custody. I am greatful to learn about the oppression of the Uyghur people but prefer to learn of ways to help stop the government, support the Uyghur people and secure their future. Just knowing is not enough! Unexplained deaths in police custody are practically the hallmark of oppressive regimes which do not respect rule of law. The world would do well not to take its eye off what is going on in Xinjiang, because what is going on there speaks volumes about the true nature of the Chinese government - a government that has big ambitions to extend its influence around the world but whose value system is anything but liberal or enlightened. The world is living in fear of all these terrorists and all travellers are long been suffering because of these religious bigots. China is showing the world how to get rid of these pests. "More than 200 Uyghurs, many of them religious students at Al-Azhar University"
These 200 were there to study Islam and being redicalised. Weeding them out is the right thing to do.